The West Sussex NW Makeup team create stunning wedding hair and makeup West Sussex by using natural techniques that are perfect for your unique features. It is our promise to you that we will have you looking amazing from the very moment you arrive at the venue of your wedding right up until you wave goodbye to your final guests. Weddings, on the whole, are very busy affairs, photos, strong daylight conditions, and the inevitable dancing late into the night mean that professional wedding hair and makeup is a must, after all, who would want to look washed out in their wedding photos? We create perfect looks that stay fresh well into the evening. 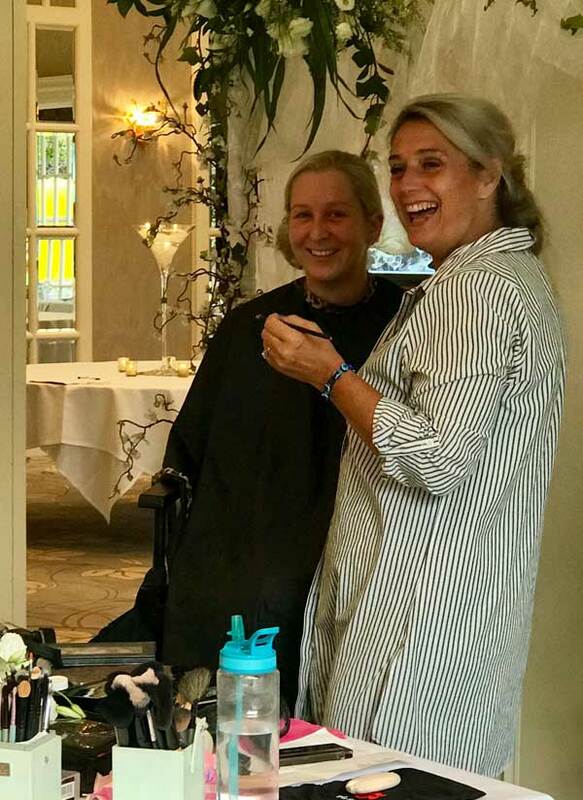 My West Sussex Wedding Hair and Makeup artists only create styles that make you feel your best, for us the fact that you feel 100% comfortable with your chosen look is of the utmost importance. NW Makeup artists only use high quality and luxurious products such as Mac, Urban Decay, Christian Dior, Laura Mercia, and Charlotte Tilbury. Many of our artists have worked in TV and Film, all of our artists have been vetted to a high standard by company owner Natasha. Looking for unforgettable wedding hair and makeup West Sussex? NW Makeup is an excellent choice. Kelly, senior hair and makeup artist is a key member of my team and has been working with me for over 8 years. 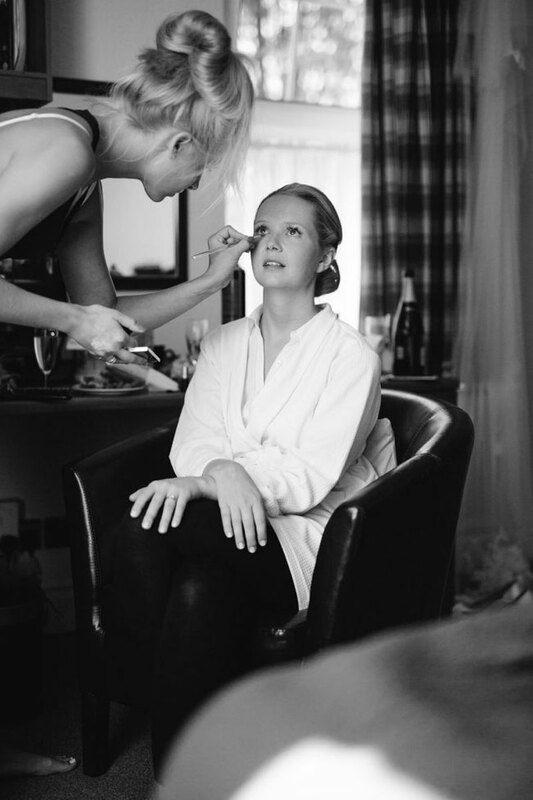 Kelly has delighted many of our brides with her professional hair and make-up skills. Kelly really loves creating up-to-date and stylish wedding hairstyles but is equally at home creating a more classical look. Hairstyling is a real passion of hers. Kelly loves to create a really natural makeup look on her brides. She undertakes around 70 weddings every year, so has a wealth of experience to create a natural bridal look for you on your Big Day. Rosie Hair and makeup artist Based in Guildford, Rosie covers Surrey, Hampshire, Berkshire and West Sussex. Making people look and feel great is the most rewarding part of working in the hair and beauty industry. Expressing my creativity through hair and makeup is a real passion of mine, with bridal styling being my preferred and most loved area. Whether it be creating a look that is unique to the bride and her bridesmaids or giving the Mother of the bride a make-over, it’s a fantastic experience being part of someone’s big day. I was first introduced to the professional world of hair and beauty while working on a CBeebies programme, for which I did the presenters hair and makeup. This then led me to pursue this career choice, focusing mainly on weddings and occasions. My favourite bridal looks are natural and romantic. Dewy skin, soft smokey eyes, complemented by loose curls, either worn up or down = timeless! You will find a real mix of products in my kit ranging from high-end brands such as MAC, Estée Lauder, High Definition and SMASHBOX to everyday high street favourites like NYX, Benefit and Revolution. I love styling hair with the help of TIGI Bed Head products and the famous Kenra Professionals. 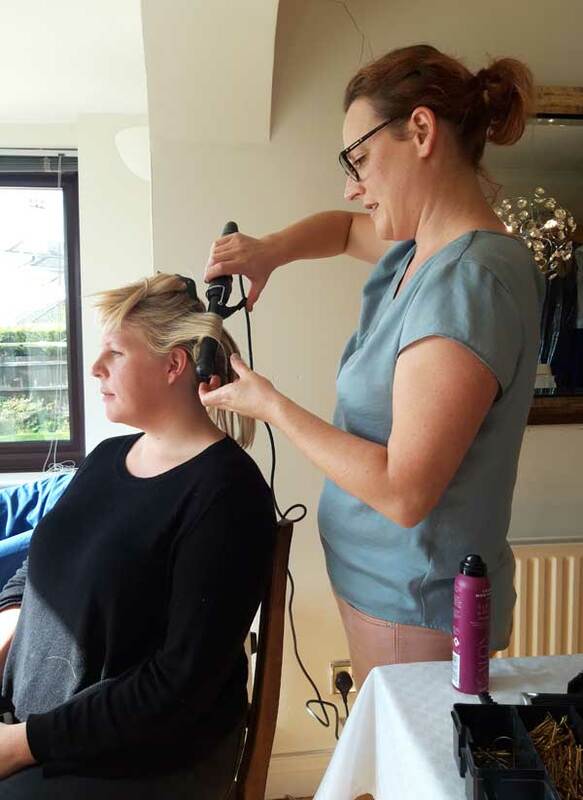 Natalie, is a fully qualified and insured hair and make-up artist, and she has worked in various roles around the film, TV and media industry for over 15 years. Natalie has worked for NW Makeup for more than 6 years and is fantastic at bridal hair and makeup . 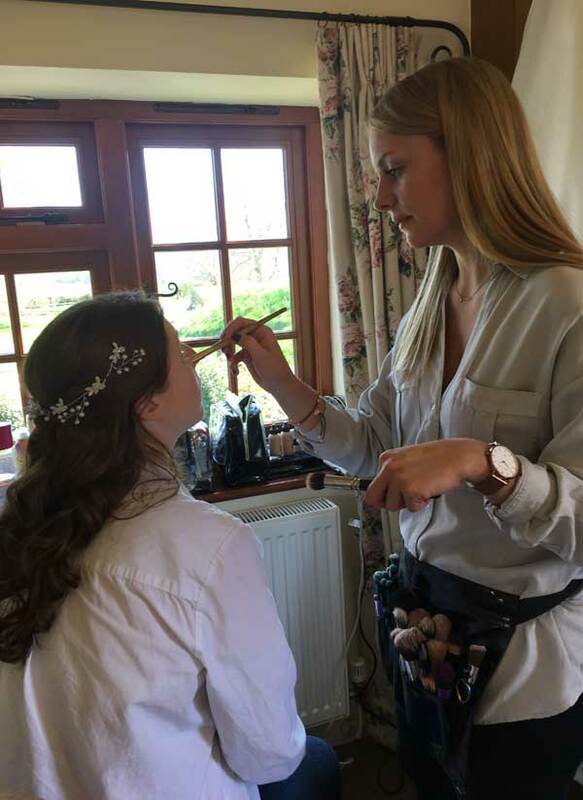 Natalie’s passion is make-up, hair and making people look and feel their very best on their special day – be it a wedding or a day at the races! Nicky is one of our senior hair and makeup artist she covers Surrey, Hampshire and West Sussex. “I have been working in the industry for over 10 years and trained at the London College of Fashion and Retford International College. I’ve worked for Sisley and SpaceNK where I first discovered my passion for bridal makeup. Francesca is one of the NW makeup team; she covers Surrey, Hampshire, Middlesex and Southeast London. 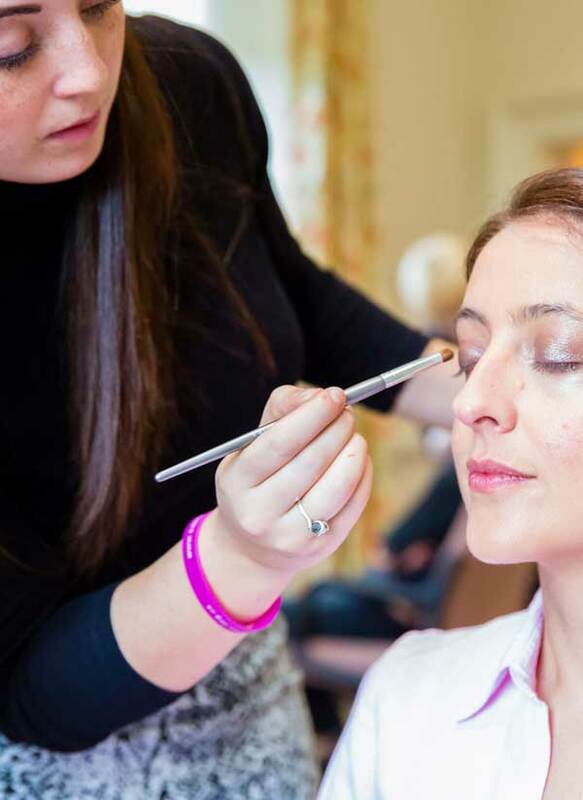 Francesca has eight years of experience in the bridal hair & makeup industry. Francesca is passionate about her work; She always makes sure her clients are 100% satisfied. She has a relaxed and friendly approach, which will ensure a calm atmosphere for the morning of your wedding. She has always known what she wanted to do, therefore went straight from school into training at Brushstroke in Shepperton Film Studios for two years where her passion for makeup continued flowing throughout everything she learnt which included: Bridal, Beauty, Theatre, Fashion, TV, Film and Special Effects. Francesca is fully insured with the guild of beauty therapists. To see some of our recent bridal hair and makeup looks, please view our wedding gallery. My wedding team work with our clients at wedding venues across West Sussex these venues have included The Southend Barns in Chichester, Long Furlong Barn, and Farbridge Barn again in Chichester. 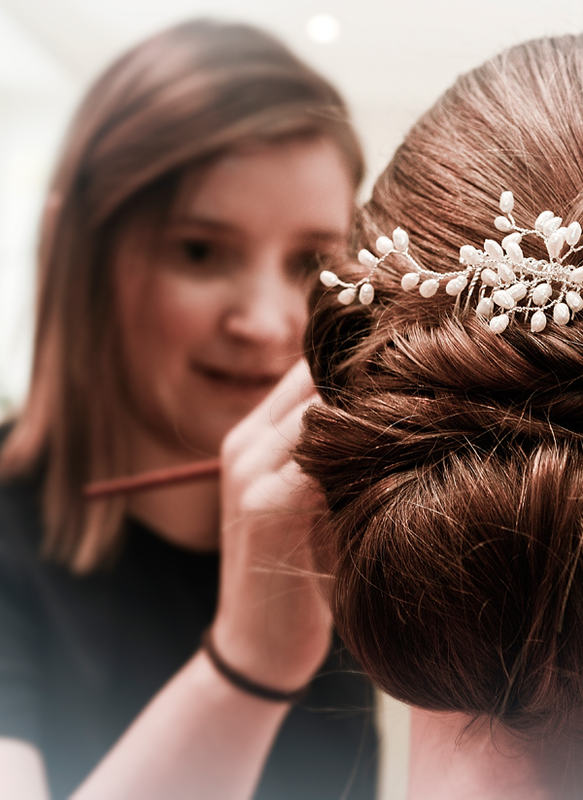 Over the years we have been fortunate enough to create bridal hair, and makeup looks for several West Sussex brides. For the ultimate wedding hair and makeup West Sussex contact the NW Makeup team.